I ordered two of these cables at 11:17 am and received an email advising that the order had been shipped at 12:02 pm - that's only 45 minutes after I placed the order! I received the package the next day in regional QLD. That is FANTASTIC service. And, the cables work perfectly well and are exactly as described on the web site. In addition, as indicated, the communication from Cable Chick was more than prompt - it was basically instantaneous. The ordering process was simple and straightforward - more than I can say for most web sites I shop at, and I shop online a lot! Well done CableChick! This isn't my first order from you and it certainly won't be my last! Upgrade your TV bracket to VESA 400x400 the easy way. As we start to see larger and lighter flat panel TVs enter the market, the number one question we get is for brackets which can accomodate the 400mm x 400mm mounting hole pattern these large screens require. But the bracket market isn't catching up as fast as the TVs are growing, and we're left with a very limited range of suitable brackets, with a lot of the best ideas and designs left too small to be compatible - but with weight limit to spare. If you have a great wall mount for your old TV already installed, or your favourite bracket from our range doesn't have the span your new TV needs, then a simple VESA adapter plate like this monster kit can leave you all smiles. It has all the parts to take you from a mount which uses a 200x200 VESA pattern, and upgrade your bracket to accomodate a 400x400 VESA or 300x300 VESA screen. At a fraction of the cost of a whole new bracket and with a parts bag to suit 99% of brackets and TVs, this is the way to go. Important: Your bracket's weight limit must not be exceeded. Please check your bracket user manual or specifications to ensure that your inteded TV is not too heavy. Converts up only. Not suitable for converting down. Too big? We also have VESA 200 Adapter plates. Adapter plates should not be stacked - use only one adapter plate per bracket mount! Answer: "Probably not. While you could mount this adapter plate at the 400x300mm spacing, that would make the interior measurement 200x100mm, which is uncommon on most wall mount brackets. It would help to know more about what you're trying to achieve (I assume you want to make you new TV work with your old wall mount) so we can get a better idea of what solutions are available." Answer: "Possibly not. Moving these plates further apart would make the larger size 500x400mm, which is not a common VESA standard size for wall brackets. 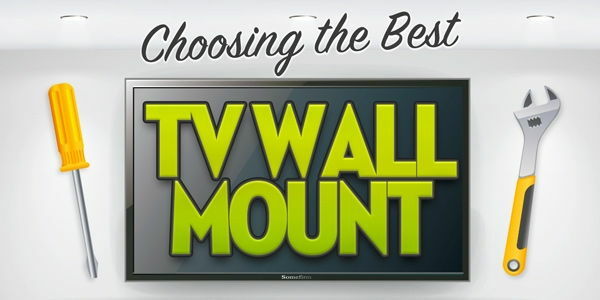 This product is designed to make a 200x200 wall bracket suit a TV with 400x400 bolt holes (with some wiggle room for 400x300 TVs), not to make a smaller TV work on a larger bracket." Answer: "A better match would be our bracket adapter MT0513, but generally we expect a 32" TV to be too large and heavy for a computer monitor mount of that size to safely accept it." Hi Cable Chick, Thanks for excellent service! :-) It was good to be able to trace the progress in the mail as it took a few days to reach Bunbury WA. Appreciate your care in mailing your products.